I’m not a fan of winter weather at all! This time of year I do my best to keep the whole family warm and healthy- including our pets. Today I’m sharing how to ensure your cat’s health and comfort during the winter months. Be sure your cat gets regular vet checkups to be sure she is and remains healthy. Choosing the right food for your pet is essential all year round! 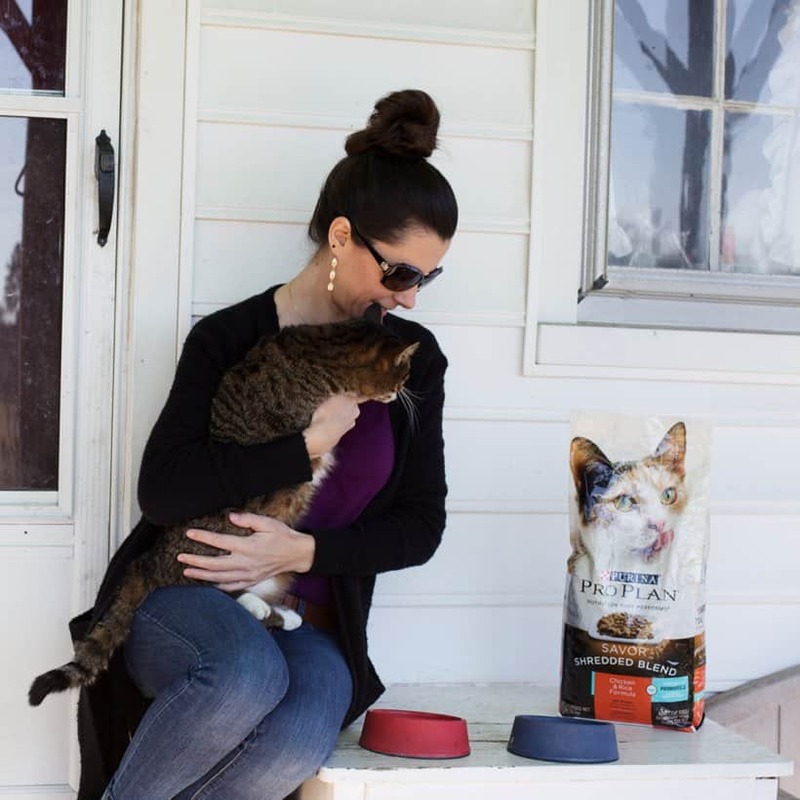 I’m feeding our cat Purina® Pro Plan® Savor® Shredded Blend Adult Cat Food in the Chicken & Rice Flavor since it contains at least 38% protein to meet her nutritional needs. The Savor® line contains five dry formulas which support digestive health with guaranteed live probiotics. The probiotics in select dry Pro Plan® Savor® formulas benefit the digestive health of your pets by balancing the levels of bacteria in their intestines. The probiotic chosen by Purina® is safe for both dogs and cats while being stable enough to survive manufacturing, transportation, and storage. 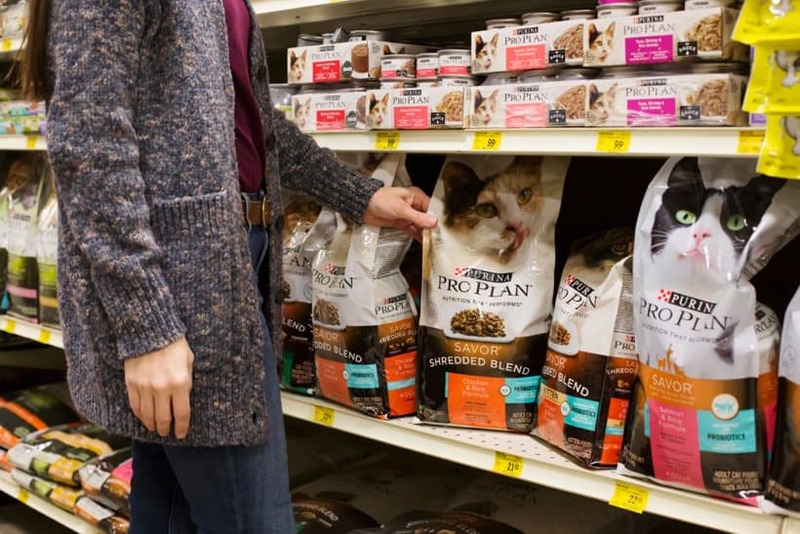 Purina® Pro Plan® Savor® allows my cat to have a healthy and active life while providing a satisfying sensory experience with its variety of flavors and textures. 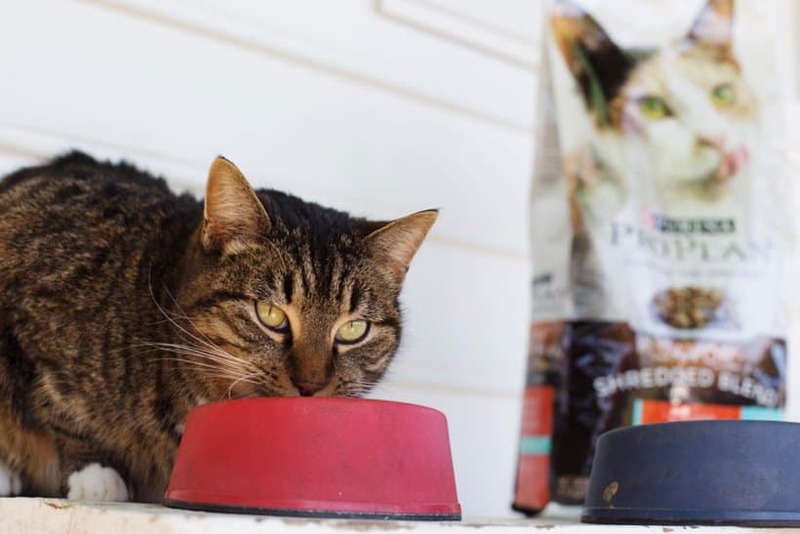 Just like people, cats could need more food in the winter to build extra insulation to ward off the cold. If that seems to be the case for your cat, increase her food a little. You can consult with your vet to determine if your cat needs more food. If your cat spends time outside, be sure to check outdoor water bowls often to ensure that the water is not frozen. If your cat goes outside, make sure she has access to a warm place to sleep and shelter from the elements. Even indoor cats may need extra warmth during the winter if you keep your heat turned down, especially when you leave the house for the day. You could provide a warm and comfortable napping spot for your cat with extra blankets. Winter can pose extra safety hazards for cats. Check under your hood before starting your car. Cats are known to climb up to enjoy the warmth of the engine and could still be sleeping there the next time you start your car. Cats are attracted to antifreeze, which is poisonous to them. Do not leave spilled antifreeze for your cat to potentially lap up. Winter months can mean less chance for physical activity. Provide toys to keep your cat stimulated and active. Since you are probably spending more time inside than usual during the cold weather, use that time to play with your cat! You’ll both benefit from extra activity and snuggles! 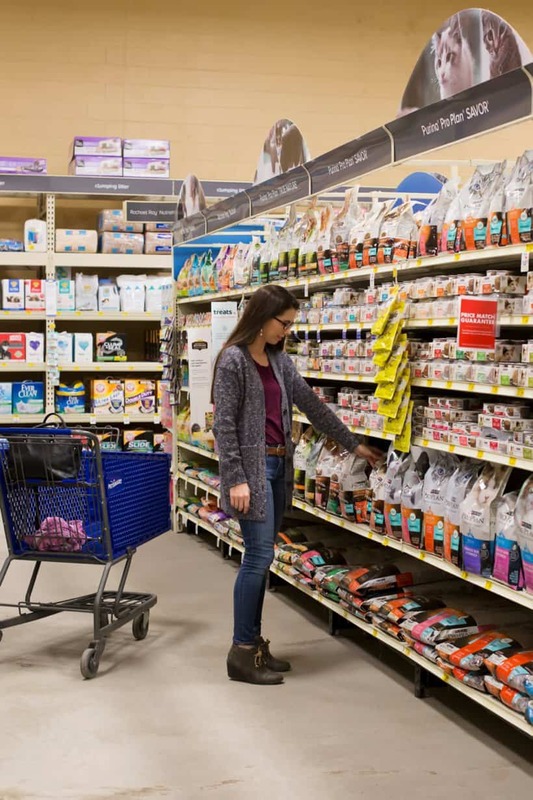 Head to PetSmart where you’ll be able to purchase all the things your cat needs to have a healthy and happy winter. 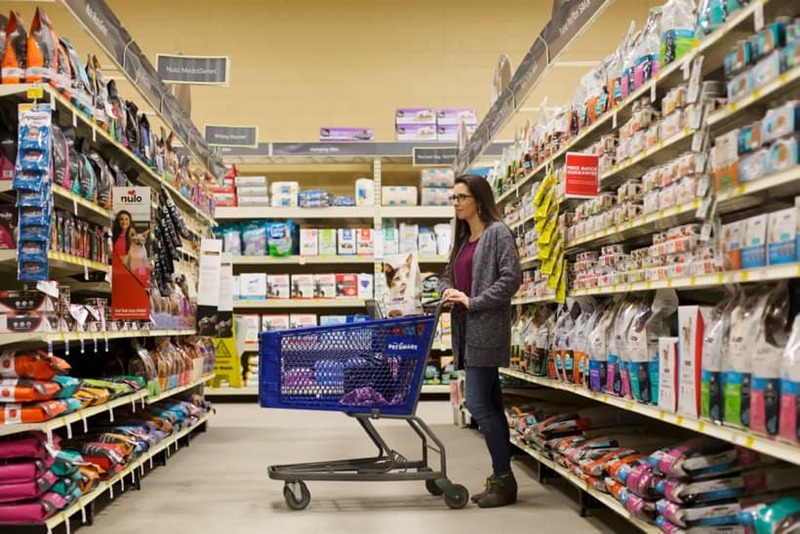 While at PetSmart choose the best Purina® product for the cats (and dogs) in your life! 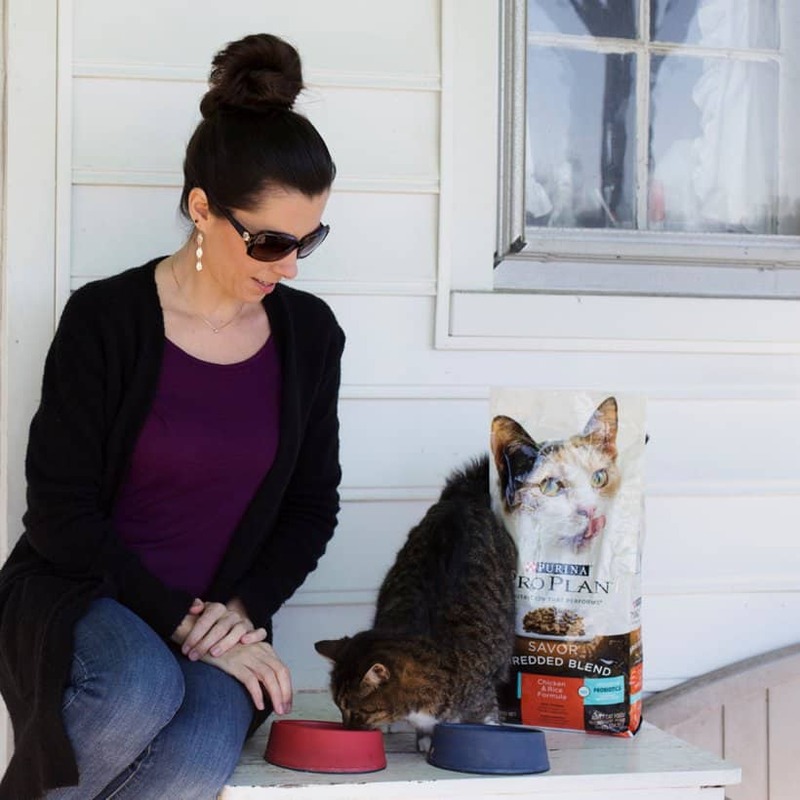 I’m choosing Purina® for both my cat and dog since it is backed by 85+ years of research from 500+ scientists across the globe. From 1/20/19 to 2/28/19 you can get $10 back on a digital prepaid card when you buyPro Plan® Savor® Dry. Check out the offer here. I’m all about one stop shopping, especially during the winter months when the less time I have to spend in the cold the better. Shopping for my pets at PetSmart means I can get everything I need all at once! 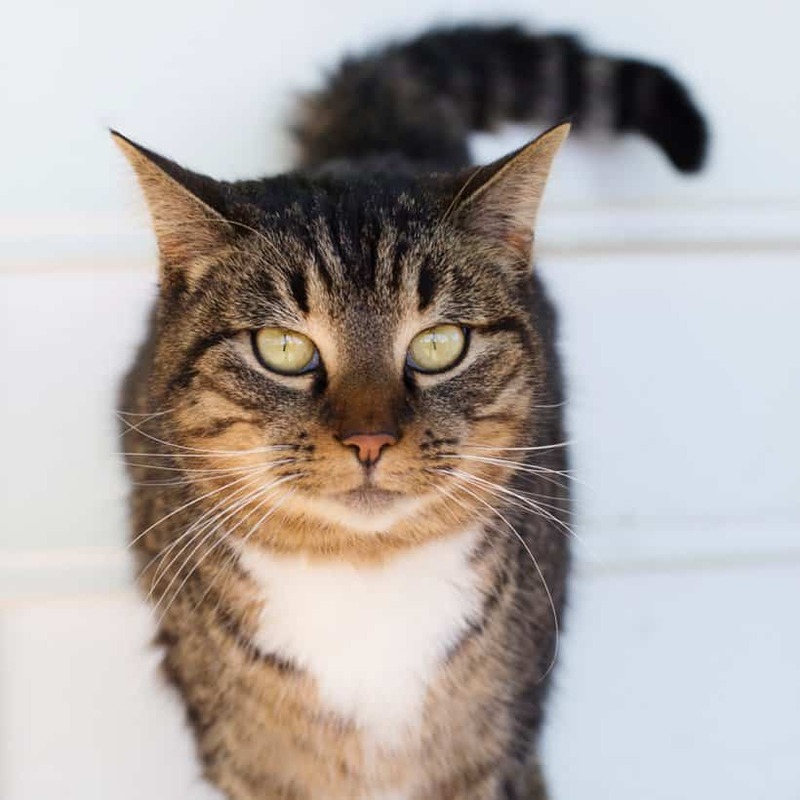 Use these tips to make sure your cat stays happy and healthy this winter. 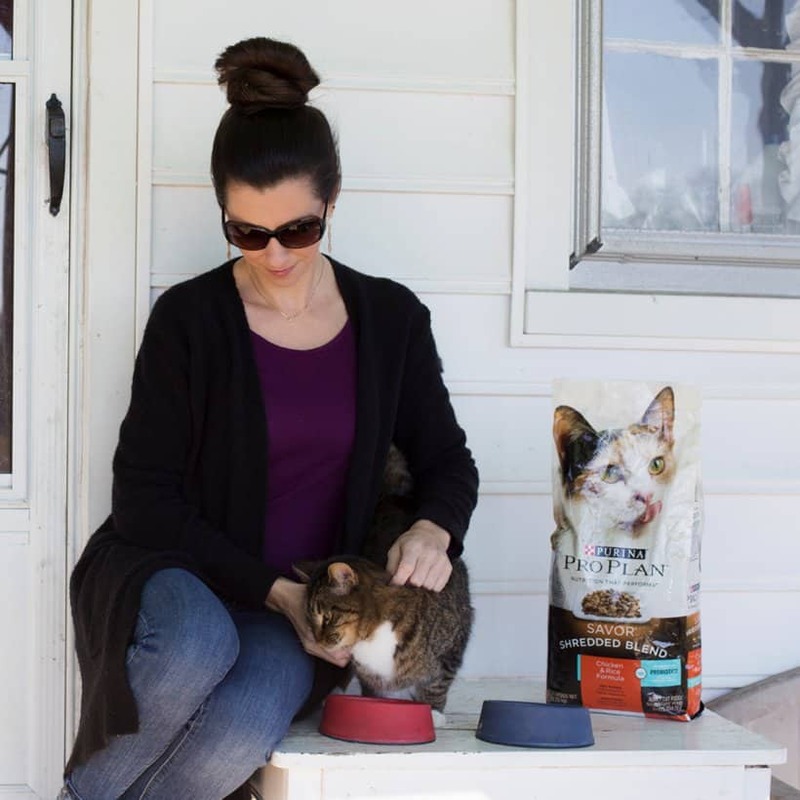 Don’t forget to use this link to learn more about the $10 cash back offer and Purina® Pro Plan® Savor® products.